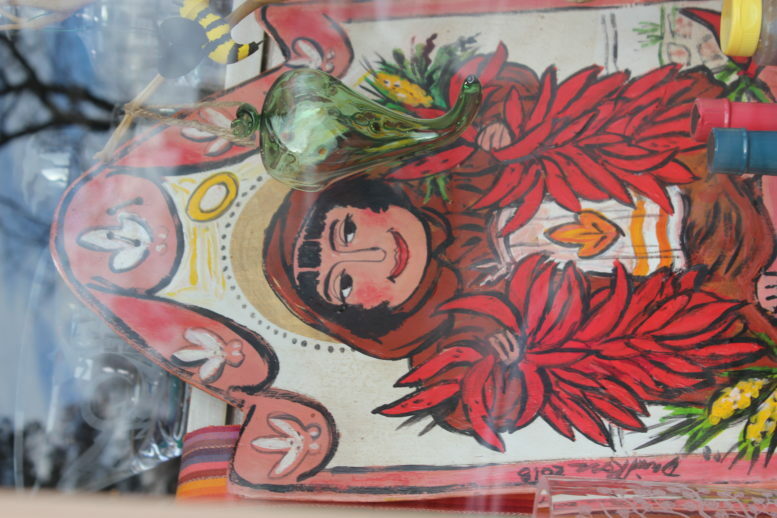 I spied San Pasquale through a chile shop window in Santa Fe. He smiles from a wooden retablo painted by David Ross. A bon Sante. Ta failte. Bon appetit.